Welcome to Breakers! This elegant condominium is located right along the sugary white sands of Orange Beach in Gulf Shores, Alabama! Consisting of excellent views, a public pool, and extreme luxury, this place is the perfect stay for anyone! You can enjoy the beach with just a short walk from our front doors, and take full advantage of all of the opportunities presented to you there! Some of the most popular attractions on our beach include paddle boarding, parasailing, deep sea fishing, boat tourism, and much more! As for meals, there's no such thing as a bad one down here! When you step outside you can just smell the aroma of fresh seafood being cooked to perfection. Some of our favorite local places include Shipp's Harbour Grill and Cotton's Restaurant. Between these two, you simply can't beat the service, fresh seafood and surf n' turf provided! There are even amazing views of the coast to enjoy while you dine, you don't want to miss a meal at either of these places. 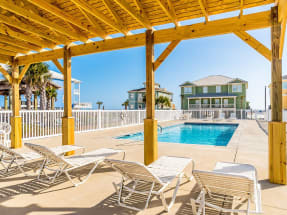 Browse and book Breakers Orange Beach vacation rentals on Emerald Coast by Owner. Choose from over hundreds of different homes. When you book with Emerald Coast by Owner, we make it easy for you to choose where, when, and what you want to do on your trip. Contact us with any questions and be sure to book online today!